Samreen Khan, Vishwanath Kumar, Neha Priya, Sachin Singh Yadav. Background: Handwashing is listed as one of the single most effective public health intervention which directly and indirectly decreases the mortality among young children by eliminating over 90% of infections. But, unfortunately, the knowledge and practice of hand washing in the community appeared to be poor even today. The present study was carried out to study the handwashing practices of care givers, which could be a critical factor in the development of disease in the young ones. Objective: (i) To study the handwashing practices among caregivers of children under 5 years of age; (ii) To assess and compare the handwashing practices according to the area of residence (Urban/ Rural). 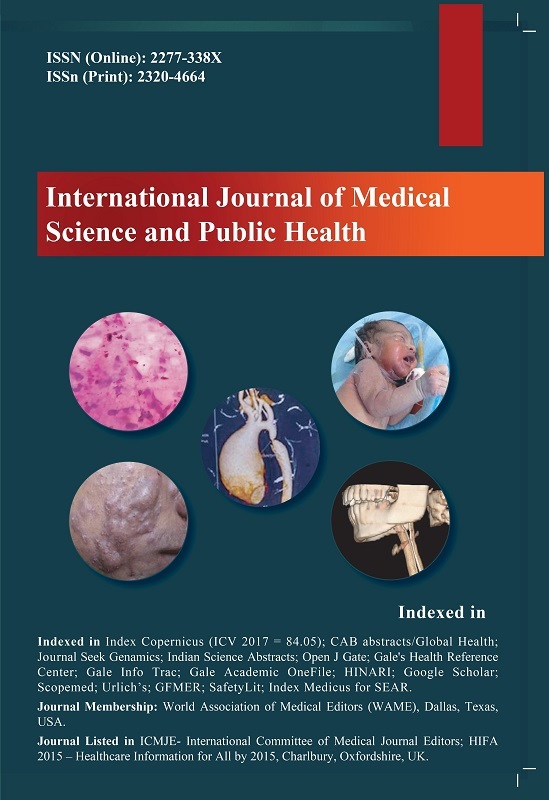 Material and Methods: A community based knowledge, attitude and practices (KAP) cross-sectional study in the registered field practice areas of both urban and rural field practice areas of Department of Community Medicine, Teerthankar Mahaveer Medical College and Research Centre, Moradabad. The survey was carried out on 200 study participants using a selfâ€‘designed and pre-tested questionnaire. Descriptive statistics as well as simple proportion were calculated with SPSS 20.0. Result: According to maximum number of participants, hand washing was important. As opposed to the maximum number of people who used soap and water in urban areas, majority in rural areas used plain water for handwashing before preparing food and before feeding their children. Conclusion: There is a need to raise awareness among care givers of under five children who should maintain a high standard of cleanliness at all times to prevent infections.